The 1D series of cameras are Canon’s flagship imaging tools, built for the professional who needs an industrial grade camera which will perform in all circumstances on a daily basis. 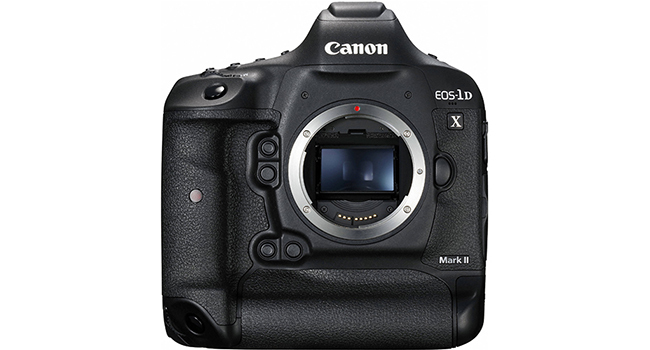 The 1D X Mark II has much of the similarities of previous models with some choice upgrades. An improved 20.2MP full-frame CMOS sensor, Dual Pixel autofocus system, expanded point autofocus system, and 4k video are some of the features that may entice you to upgrade. The reality of this camera is that it will be mostly a choice for existing Canon users, either already familiar with the 1D series or someone wishing to invest in their flagship model. There may be a few users out there who will jump ship from one brand to another, but the leanings here is to compare flagship models to see exactly how they line up. Just check out the comparison chart below. If you’re familiar with the Canon 1D range, then you will feel right at home with the 1D X Mark II. There are lots of similarities to previous models, but also plenty of changes for you to dig into. The body design has stayed more or less the same. It feels as reliable and solid as it has ever been. Small to large hands can grab this camera in any position and, although weighty, it’s extremely comfortable. You will only find small external changes on each 1D iteration, with the 1D X II having two changes in the live view and video switch on the rear of the camera and a touch-sensitive LCD screen. The touchscreen hasn’t got loads of features, only allowing selection of AF points, magnifying images, and a few video mode features. You would expect a little more from a flagship camera touchscreen. Big grip equals big battery life that should be able to get 1210 shots per charge from the new LP-E19 battery. You can also use the older style batteries with the only downside being the maximum frame rate will drop to 12fps. It’s not as great as the Nikon equivalent of roughly 3000 images, but still good enough for most applications or a days shoot. You expect auto ISO to be highly configurable in a flagship model. The 1D X II allows upper and lower limits as well as the shutter speed, a threshold which you can also move in 1EV increments. Auto ISO is also accessible in manual mode, but you have to press the ‘SET’ button or access the Q menu to get exposure compensation. The 1D X II is, as you would expect, extremely fast. 14 fps bursts if you so need it and enough juice in those batteries to last all day. Fast burst speeds you can view through the optical viewfinder with all the exposure tweaks at your disposal. You could even get 16fps with the mirror up. You’ll need some fast-write memory cards to make the most of these features, but this amount of burst speed is remarkable with the correct setup. Images have an increased dynamic range over predecessors especially at low ISOs, but not as great a gain at high ISO Raw levels. Compared to competitors such as the Nikon D5 and Sony a7R II, there’s not much difference in the noise levels when in low light. This isn’t a negative as they are all extremely capable. Colors are slightly more muted than in previous models, but this can be easily tweaked in post editing. If you like the camera to do all the heavy lifting for you with JPEG’s, then the high-ISO noise reduction and warm colors should be to your liking. They will need some tweaking to get things like the saturation and white balance right. As for raw files, they are as stunning as you would expect with very low noise throughout the range. The improved sensor has definitely given more dynamic range to RAW files. A fast camera should also mean a fast autofocus system. The 61 user-selectable points are the same as the previous model, but with a bigger vertical spread because of the different focus point ranges. The 360,000-pixel RGB+IR metering sensor has been updated as with the iTR (Intelligent Tracking and Recognition) mode (great for tracking moving objects). You have lots of ways to configure the AF system, from different shooting styles, all with their own variables. With so many variables, starting with the six presets is a good idea. You can use Single-point Spot AF, Single-point AF, AF Point Expansion, Zone AF or 61-point Automatic Selection AF. AF use with the live view works along the same lines as the 7D Mark II. You can tap the touchscreen to move the AF or use continuous AF for moving objects. Use of 4k video in the 1D X Mark II is a welcome addition, but it does have a 1.34x crop factor. 4k video uses DCI format (4096×2160) and Motion JPEG format, with frame rates ranging from 23.98 fps up to 119.9 fps. Video is captured with Canon’s efficient Dual Pixel autofocus with Face+Tracking, and FlexiZone, both great ways to capture a moving subject. The 4k footage is really good quality, but if you want to use HDMI-out, this is limited to 1080. At least there are a microphone and headphone jacks with adjustments for both. If you’re familiar with how Canon lays out their stacked menus, you’ll feel right at home here. Some menu options are only accessible once you are in that mode, such as the live view/video, but everything can be easily set up prior to a shoot. You can customize buttons, but not so much choice over what you can assign to each button. The top plate buttons are as you find them. This can irritate some users if you want full customization over all buttons, so it’s best to consult the manual which has a full rundown of what is available to assign to each button. One big changes is how you can customize the Q menu. You can decide the settings that show in the Q menu for easy access. It’s just a shame you can’t use it via the touchscreen. The Canon 1D Mark II is often compared to it’s biggest competitor, the Nikon D5. How do they stack up next to each other? Summing up, the Canon flagship model is more a comparison between previous models as much as with competitors. From previous Canon 1D models, it looks more or less the same from the outside, with only a jump of two megapixels. The improved AF system, better dynamic range, 4k video, and ridiculously fast burst speed make it a worthy upgrade. The camera takes stunning images especially in RAW, with the ability to lock onto its subject more precisely than its predecessors. The iTR subject tracking may not be of the quality found in the Nikon D5, but is still very usable. For the professional who prefers Canon equipment, this is a worthy upgrade from previous 1D models and continues the 1Ds legacy of being one fine all-rounder and sports camera.